I compiled all of the tribute videos and will post them here so that they can be easily located and watched. Thank you to all of our members who have contributed to this thread - get your kleenex ready! This will be a "no comment" thread - each of these videos are in a separate thread in the remembering caylee forum so feel free to comment there. BigJohnny posted this last night and I wanted everyone to be able to see it today. This is the last video I made, modified to add Caylee singing on the front and then the 911 call overlaying the music. Yes it is heartbreaking. 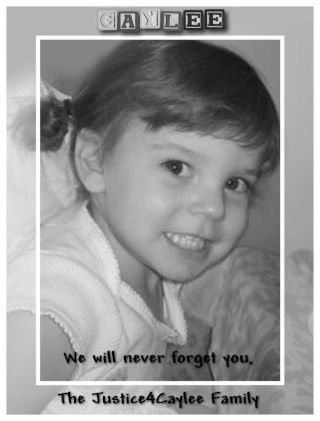 Please view my new video Tribute to Caylee Marie. It includes a song written for Caylee by Alex Ceruzzi.